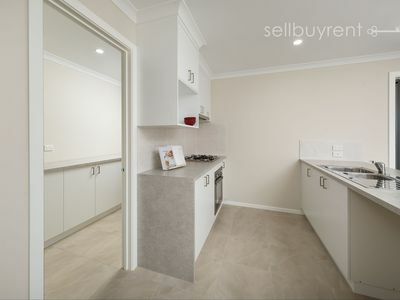 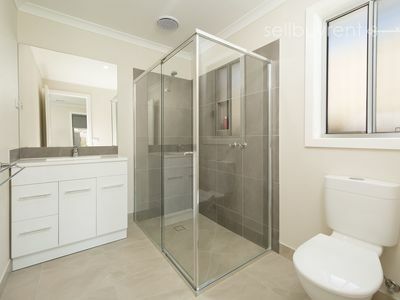 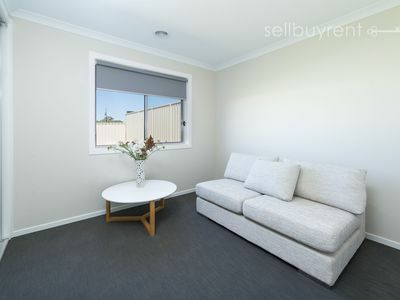 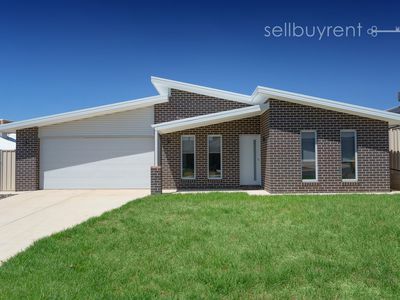 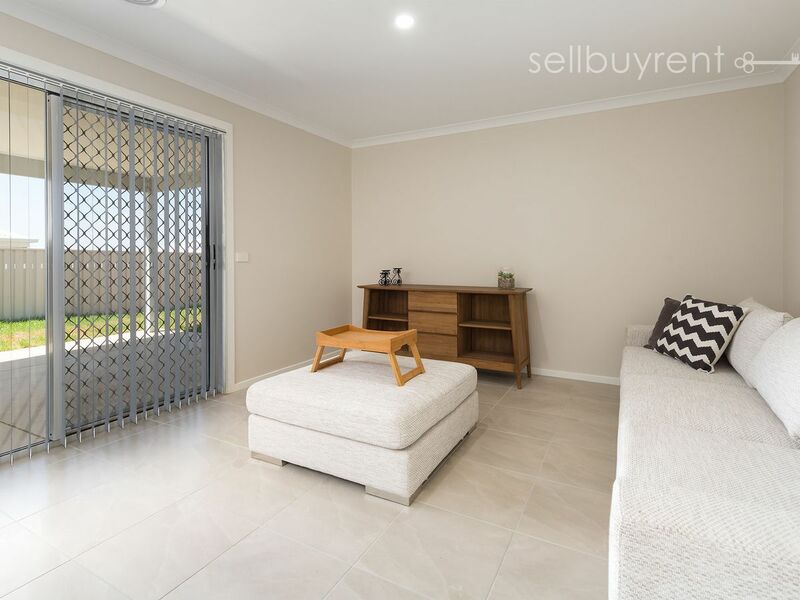 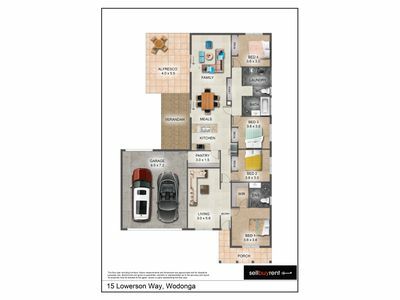 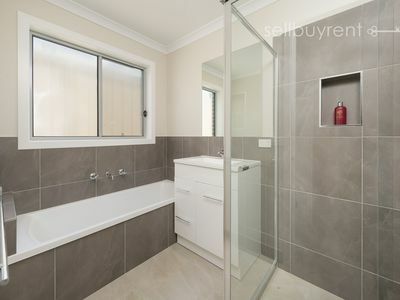 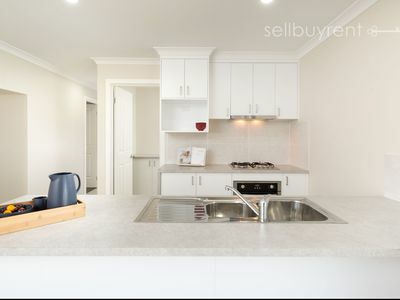 Located in one of Wodonga’s newest streets, sits this BRAND NEW - family ready, four bedroom home within walking distance to a children's playground, open park areas, primary school, child care centre, Waves Aquatic Centre and the Woolworths shopping complex. From the moment you step through the front door of this home, you will be welcomed with stylish living options from the formal front lounge right through to the open plan kitchen, dining and family area. 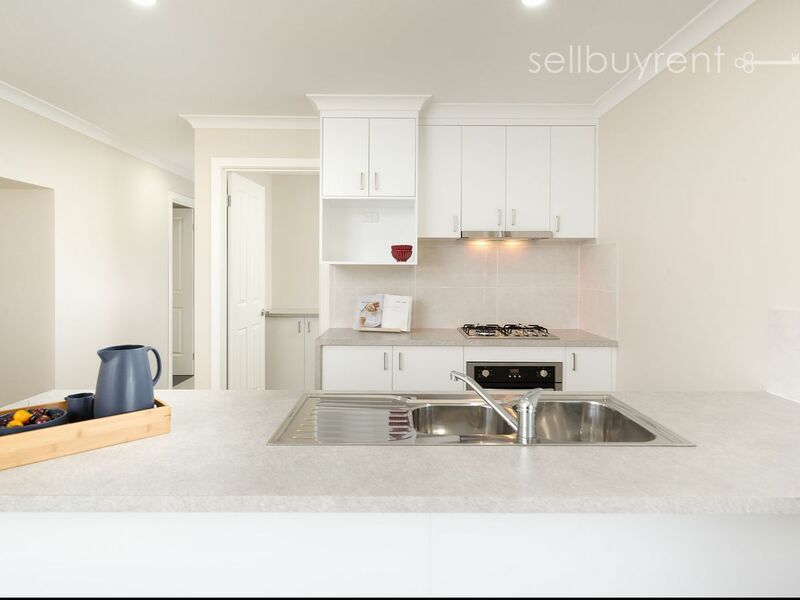 The kitchen is open and bright with modern stainless steel appliances, dishwasher, large bench space, abundant storage with a large walk-in pantry and a breakfast bar for informal dining. 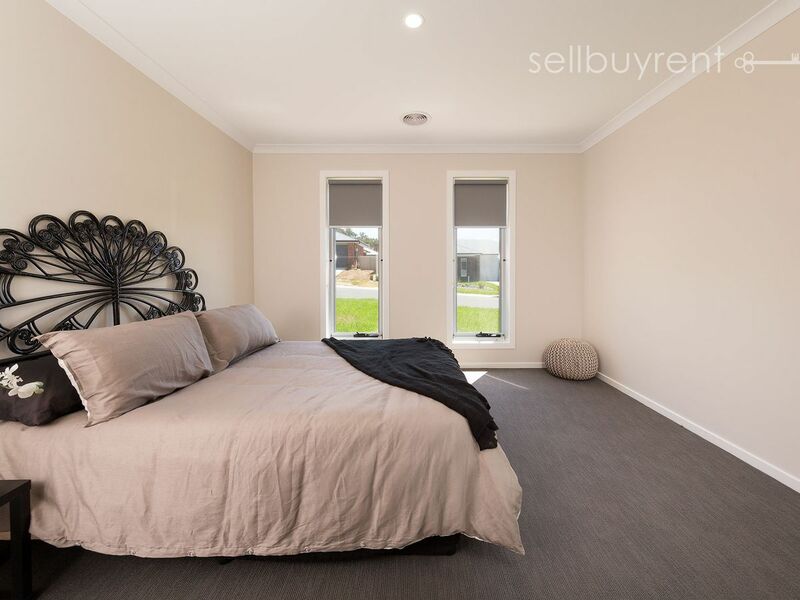 The large private master suite is appointed with a stylish en-suite and a generous walk-in-robe, whilst the neutral palette continues into three generously sized bedrooms all with built-in-robes. 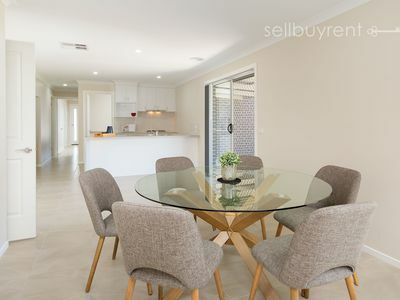 Designed with the family in mind the home encompasses a large living zone fitted with two separate sliding doors providing access to the covered outdoor alfresco area, perfect for a BBQ when family and friends come around. Heating and cooling is well taken care of with evaporative cooling and ducted natural gas heating while the tiling, carpets and painting throughout is all in modern and neutral. 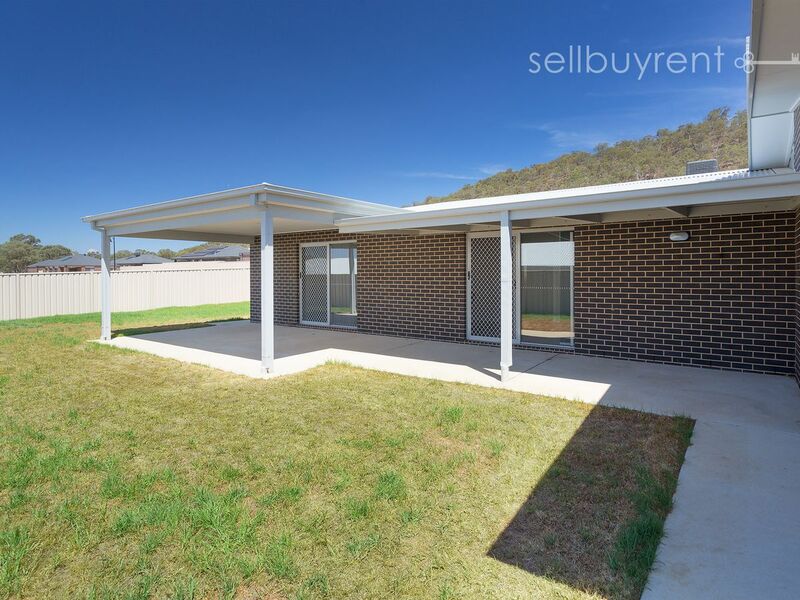 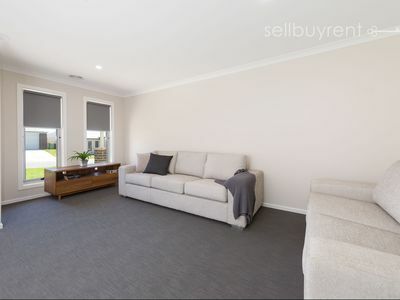 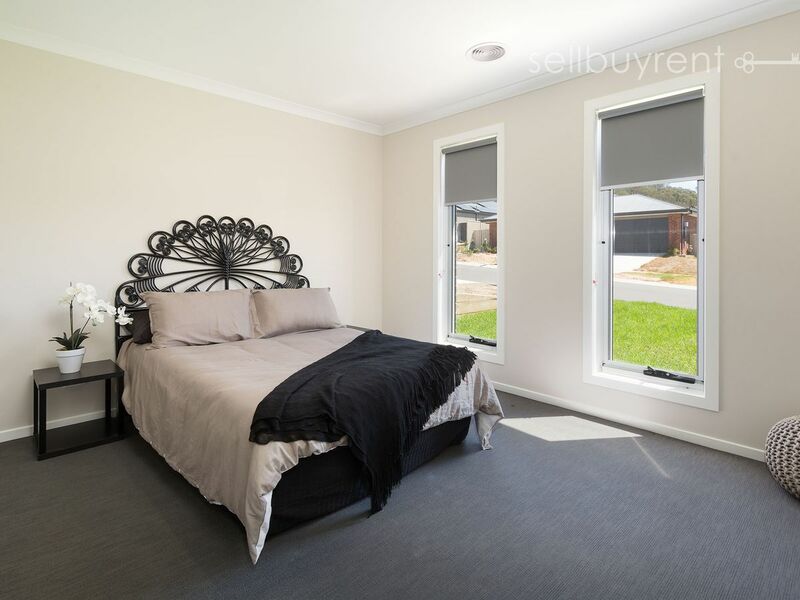 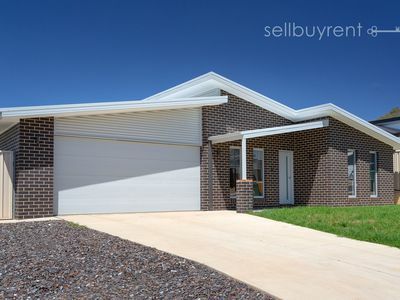 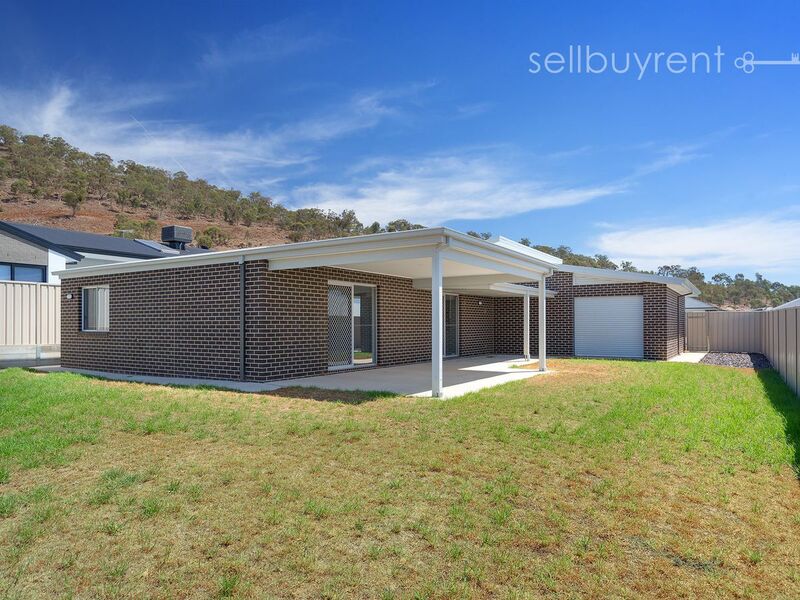 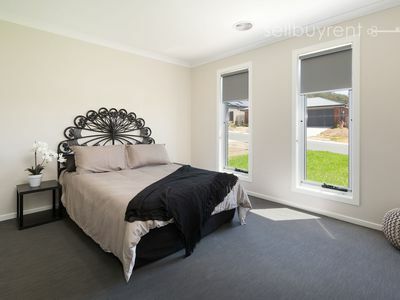 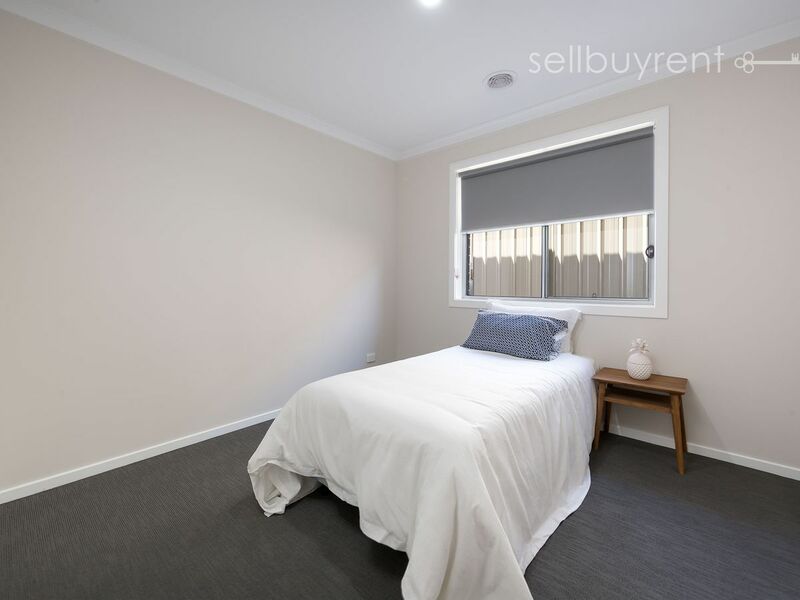 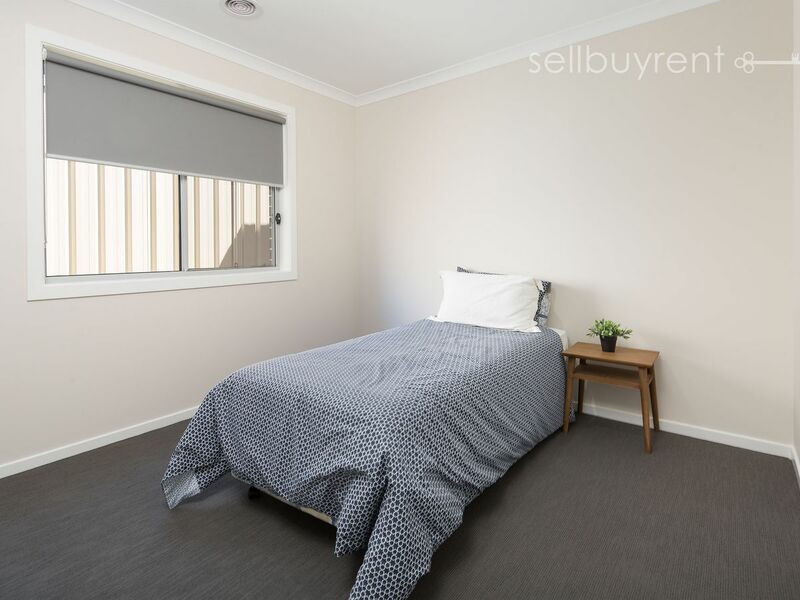 A complete turn-key package, this home is now complete with fencing (648m² allotment), front and rear lawns, driveway, letter box and indoor window coverings; all this house needs is you and your furniture. 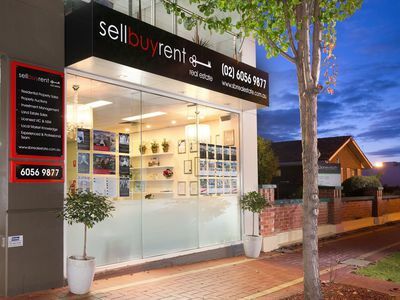 * Attention First Home Buyers - TAKE A FURTHER $20,000 OFF THE ASKING PRICE & STAMP DUTY CONCESSIONS MAY APPLY!